TheMusicTeach was delighted to attend the Early Music Festival in Greenwich, London this year. The exhibition itself was as popular as ever. Plenty of recorder and early music enthusiasts enjoyed trying out the wealth of instruments available to buy. Ticket holders were also treated to a wide range of early music concerts throughout the festival. TheMusicTeach was lucky enough to have tickets for two concerts on Saturday 14th November. Both concert programmes featured a spectacular wealth of talent. First, ticket holders enjoyed some of the best Baroque recorder music from Purcell to Telemann. 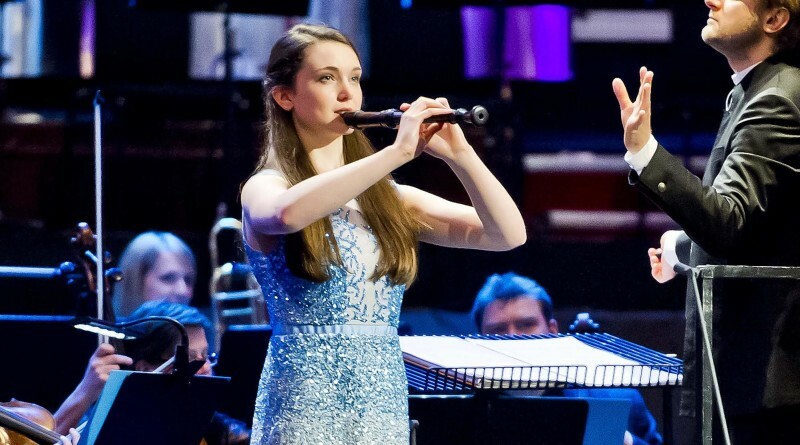 BBC Young Musician finalists Charlotte Barbour-Condini and Sophie Westbrooke played beautifully together. 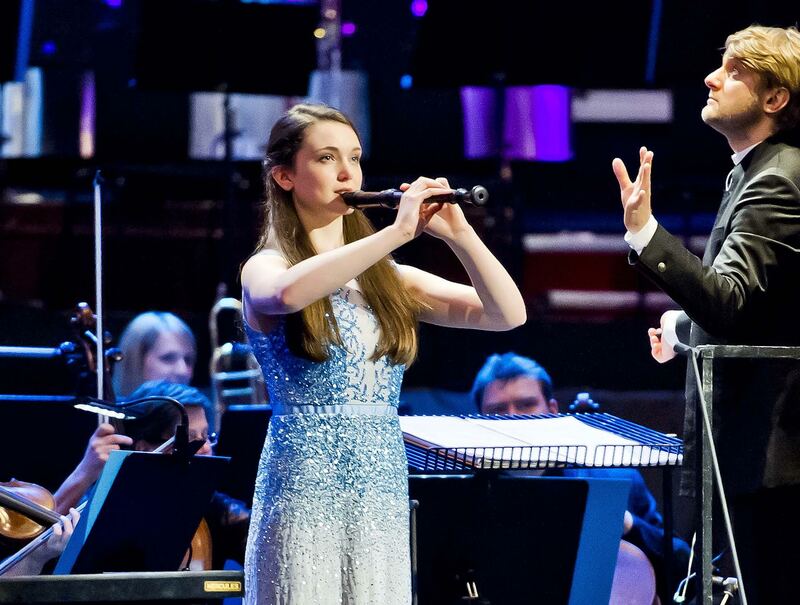 The pair delighted the audience with their virtuosic interpretations and exemplary performances. They were joined by David Gordon on Harpsichord and their beloved teacher Barbara Law. Evelyn Nallen directed them with support from the Zero Gravity Recorder band. Red Priest also performed that evening in the Old Royal Naval College Chapel. The ‘Handel in the Wind’ concert didn’t disappoint any of their die-hard fans. There wasn’t a moment the audience wasn’t mesmerised by Piers Adams’ technical prowess and sheer speed. Nothing seemed to phase him delivering this incredibly complex repertoire. TMT: How do you manage your performance nerves? SW: I think it’s just having done so many concerts before. It’s easier having people on stage with me that I’m comfortable with, like Charlotte (Barbour-Condini), Barbara (Law), David (Gordon) and Evelyn Nallen. They help cover up if there is something I mess up! It’s more difficult with new people. Accepting it may not go perfectly helps. It’s the bowing I get nervous for! TMT: Do you ever improvise? Do you have tips to help readers learn to improvise? SW: I do a lot of improvisation, arranging and composing for my solo concerts. David is an amazing improviser. It depends on what I’m playing. Finding the root or the authentic style is important. It’s good to listen to recordings like (those of) Piers Adams and Dan Laurin for ornamentation and the flourishes. Accept it might not work! I got into playing Jazz piano and that helped enormously. TMT: What do you remember most about your early recorder lessons? SW: I was about 9 or 10 with Barbara after my grade 8 . Double tonguing scales, technical things. Breathing exercises lying on the floor and stuff. Breathe! I was shy, so she made me perform to inanimate objects. Engage them! 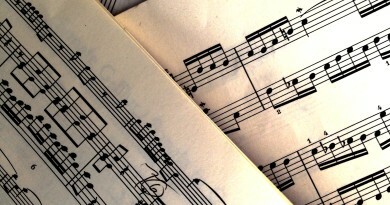 TMT: How important was music theory to your progress? SW: I think the theory is really important as it helps with so many other things. I like it now, even though it’s tough. You feel like you have to do it but it’s better to know why you’re doing it. TMT: Your concert was a programme of diverse pieces. There was a lot of variety in mood and intensity of the performance. Do you have any tips for dynamic control? SW: When I started I just didn’t know. It’s all about alternative fingerings now. I’ve had a lot of studies to master them and experiment with them. Each instrument is unique so you have to get to know it, and its character. Do they go cold or out of tune, for example. TMT: What are your three favourite pieces to play? SW: Any Handel sonatas. I often play with my brother performing on Cello. Dowland’s “Flow My Tears” is so beautiful. I play my own arrangement. “Big Baboon” by Paul Leenhouts is a favourite. I like the modern stuff with the sound effects. 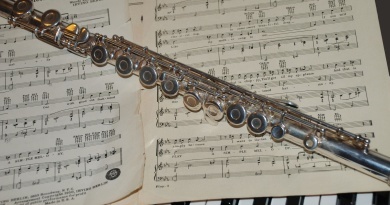 TMT: What is your current favourite recorder to play? SW: I love my Kung descant. I played it tonight. I’d say my favourite recorder to play is my Ganassi recorder in G by Norwegian maker Bodil Diesen just because it makes such an amazing variety of incredibly expressive sounds. But that doesn’t matter too much, I love my whole collection! TMT: Thank you, Sophie Westbrooke, for your time. Enjoy the rest of the concert! 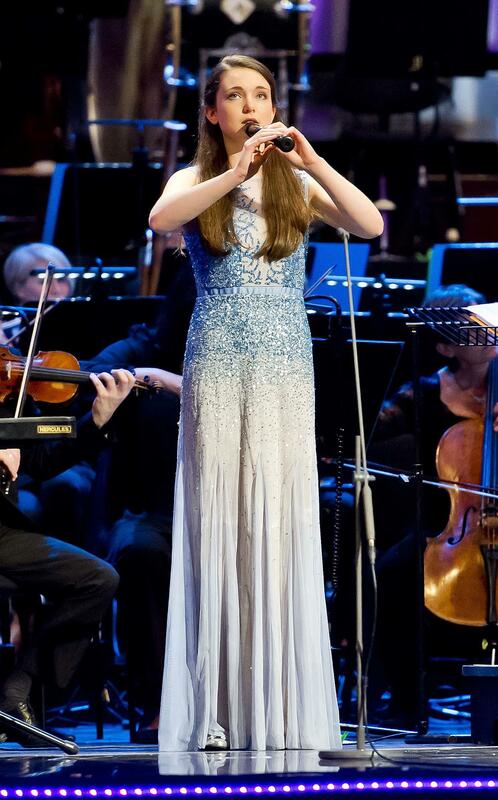 You can see Sophie Westbrooke performing live at the Wethersfield Chamber Concerts on 24th April 2016.